Derek Bermel performs a recital of American music with members of the Seattle Symphony at the new Octave 9: Raisbeck Music Center, featuring world premieres by Bermel and Kaley Lane Eaton, along with works by Steve Reich, Edgard Varèse, Nina C. Young, Mary Kouyoumdjian, and Mason Bates. The Boise Philharmonic Orchestra, conducted by Eric Garcia, performs Derek Bermel’s Three Rivers at the Egyptian Theatre. The Resonance Chamber Orchestra, conducted by Daniel Nesta Curtis, performs Derek Bermel’s Soul Garden at Rodef Shalom Temple. Author Sandra Cisneros discusses her acclaimed novel The House On Mango Street, featuring a performance by mezzo-soprano Paulina Villareal and pianist Steven Beck of Derek Bermel’s songs, set to her texts. The Princeton Symphony Orchestra, conducted by Rossen Milanov, performs Derek Bermel’s Mango Suite, with text by Sandra Cisneros. The Flatirons Chamber Music Festival presents Derek Bermel’s Death with Interruptions at Ruby Red Farm. 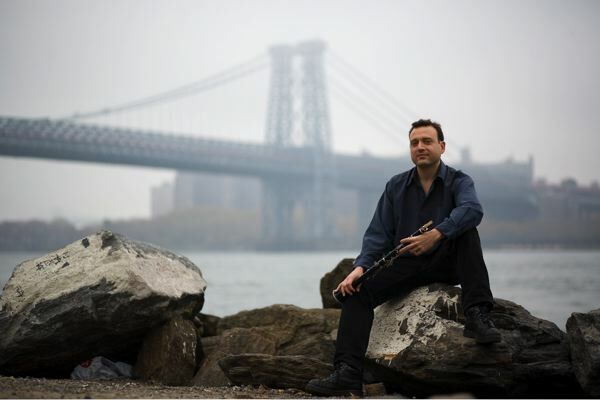 The Bowdoin International Music Festival presents Derek Bermel’s Tied Shifts, alongside works by Brahms and Beethoven. Salt Bay Chamberfest presents Half & Half, Expanded featuring Nate Smith, Jaleel Shaw, Fima Ephron, and 50%, with additional works by Bermel, Bernstein and Bartók performed by Jennifer Frautschi and Thomas Sauer. Music in the Vineyards at Silverado presents Derek Bermel’s Language Instruction. The New Zealand Symphony Orchestra, conducted by Hamish McKeich performs Derek Bermel’s Canzonas Americanas on the Shed Series. Pianist Anthony DeMare performs Derek Bermel’s reimagining of Sondheim’s Sorry-Grateful, along with works by Steve Reich, Wynton Marsalis, Kevin Puts, Jon Batiste, Kenji Bunch, Conrad Tao, and others at the 92nd St. Y.
Derek Bermel named 2018-19 Composer in Residence with Seattle Symphony. More info HERE. Derek Bermel is Artistic Director of the American Composers Orchestra. Read more info HERE. Derek Bermel's CD, featuring the stellar ensemble Alarm Will Sound, is available on Cantaloupe Records.